From Notation to Performance and More! Look what we’ve found! Free courses! During the MfE Summer School, Angela Kay and Alex Patterson led some Back to Basics sessions about the meaning and purpose of all those squiggles on a page of music. FutureLearn is registering interest in a free Open University course, From Notation to Performance. The course will enable you to build on your Summer School learning or, if you weren’t there, your understanding and appreciation of music. All FutureLearn courses are free. Although they run for a period of time, you can complete them at your leisure. From Notation to Performance focuses on instrumental music, but much of the information will apply to choral singing, too. And in January there will be a Song Writing course. This was Phil Smith’s suggestion to the East of England Singers (EOES) when singing Bruckner’s Sanctus from his Mass No 2 in E minor on Saturday. The acoustic of St John’s Church, Carrington, helped the choir to achieve a soaring sound. Thank you to Phil for rehearsing and guest conducting EOES for this concert, and welcome back to the tenor section from now on. Freed from conducting, Angela joined the altos, she also sang a duet in the Stravinsky with her soprano daughter, Sarah. 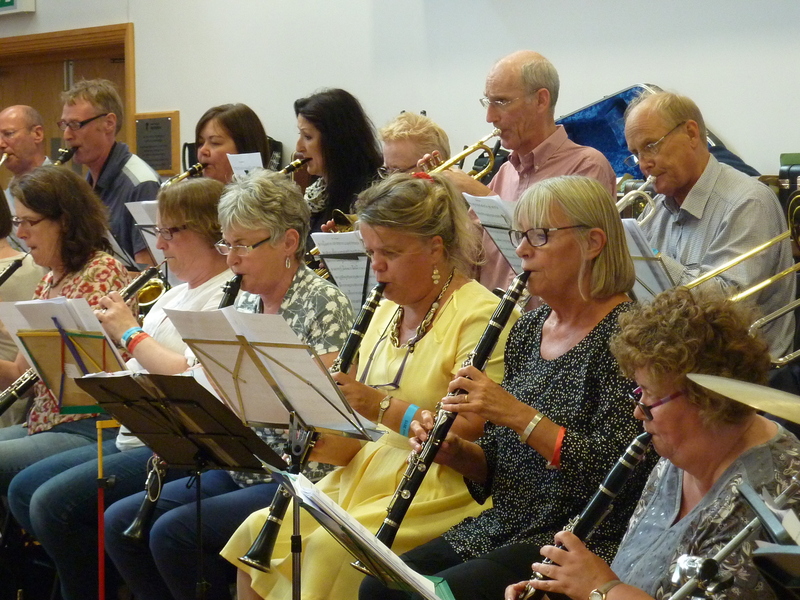 The New Classical Wind Ensemble was in fine form, and the audience expressed much appreciation of the programme. It was great to see familiar and new faces, thank you for supporting us and we hope you enjoyed the concert as much as we did. Our next concert date is Saturday 5th December, St Giles Church, West Bridgford. The programme will include Bach’s glorious Magnificat in D with the Christmas interpolations, Vaughan Williams’ very English Fantasia on Christmas Carols and Torelli’s Concerto in forma di pastorale, per il Santo Natale. What better way to bring brightness to December days? Warming mulled wine or juice and mince pies will be served during the interval. We look forward to seeing you there. Click here for tickets. Here are eight of the Ensemble playing Mozart’s Serenade in C minor, K388, conducted by Phil Smith. …only notes that aren’t high enough. At least, that would be the view of two or three of the East of England Singers’ first sopranos. The human voice is an extraordinary instrument. Have you noticed how the pitch of a person’s speaking voice is not indicative of the pitch and range of their singing voice? If anyone knows why this is, explanations on a postcard in the comment box would be gratefully received. Bruckner (1824-1896) composed some of the most wonderful music of the Romantic period. He was a man of deep faith a nd something of an oddball. His Mass No 2 in E minor, the second half of Saturday’s concert, will fulfil some of the soprano high note dreams, and indeed the similar dreams of singers of other parts, particularly during the Sanctus for eight-part choir. Eight parts enabled Bruckner to employ the full range of the human voice in all its glory and for the glory of God. As you can see in the video, the Mass is accompanied by a wind ensemble. The East of England Singers and New Classical Wind Ensemble concert is on Saturday, 17th October, at St John’s Church, Mansfield Rd, Carrington, Nottingham, 7.30pm. Tickets will be available on the door (until sold out). Tickets are now on sale for the East of England Singers Christmas concert of Bach’s Magnificat and Vaughan Williams’ Fantasia on Christmas Carols, and for Music for Everyone’s Christmas is Coming – a Sunday afternoon feast of Christmas music by and for all ages. If you were wealthy enough to ‘own’ an instrumental ensemble, what would you choose? A string quartet or a jazz trio? How about a wind band or an early music group? My choice would be a brass quintet. As a teenage trumpeter, I loved playing in an unconducted small ensemble and dreamt of being the first (and only, ever) female member of the Philip Jones Brass Ensemble. Wind ensembles, known as Harmonie, were very popular among the rich and royal of Wolfgang Amadeus Mozart’s time (Mozart, 1756-1791). Emperor Franz Joseph II had such a group. Prince Liechtenstein asked Mozart to both find him a group of wind and brass musicians and to compose new pieces for them to play. The groups performed at social occasions, indoor and outdoor, and sometimes played for more formal events. The music for such ensembles, known as harmoniemusik, was meant to entertain, it was often light in nature and unmemorable. The serenade was a popular musical form. Mozart elevated it into compositions that have endured. A minor key was an unusual choice and suggests K388 was written for a more formal or civic occasion. The third programme item in the East of England Singers’ concert on Saturday 17 October, St John’s Church, Carrington, Nottingham, 7.30pm will be Mozart’s Serenade in C Minor for Wind Octet, K388, played by the New Classical Wind Ensemble. It is scored for 2 oboes, 2 clarinets, 2 horns and 2 bassoons. So why Mozart the Recycler? Some years later, Mozart would transcribe the work for string quintet, keeping the same key signature, C minor. If you receive the blog post by email, you might have to click through to the website to listen to the music. The East of England Singers concert this coming Saturday – St John’s Church, Carrington, Saturday 17 October, 7.30pm – will open with music by Henry Purcell. Purcell, 1659-1695, was a prolific composer of instrumental and choral music and opera. His style would come to be termed English Baroque, and is captured in the statue of him erected in Victoria Street, London, to mark the 300th anniversary of his death. Glen Williams’ sculpture is titled The Flowering of English Baroque. Purcell was the organist at Westminster Abbey at the time of the death of Queen Mary II in 1694. Although the Queen had requested that there be no state occasion upon her death, the outpouring of national grief led to a state funeral that cost, in the value of the time, £100,000. It took place on 5 March 1695. Purcell was responsible for the music. Scholarship now shows that although some of the music used during the service was by Purcell himself, much was by Morley and others. It is known that Purcell’s third version of Thou knowest, Lord, the secrets of our hearts, and his March and Canzona, were used during the service. His two other funeral sentences, which will also be sung during the concert, come from c1682, before Mary came to the throne. They were perhaps written for the funeral service of a friend. The third version of Thou knowest, Lord, has been used at many subsequent royal funerals, including that of Queen Elizabeth, the Queen Mother. The March, Canzona, and three funeral sentences selected for the concert will give a sense of the solemnity and stateliness of Queen Mary’s funeral. The music is utterly beautiful. Here is an extract sung by The Sixteen. Click here to see the full concert programme and to buy tickets. Having founded the Nottingham Choral Trust (now Music for Everyone) in 1983, Angela decided that a permanent chamber choir might add to the confidence of the Nottingham Festival Chorus and enable even more challenging works to be sung. In 1985 she formed an auditioned group, the East of England Singers (EOES), originally intended to perform for part of each season with the East of England Orchestra (now Sinfonia Viva) – hence the name. Some of the current choir have been members ever since, and in June 2015 the choir celebrated its thirtieth birthday with a reunion choir performance of Bach’s magnificent Mass in B minor. Members often say that EOES is the friendliest choir they have ever sung with. We work hard not just at our singing but also for Music for Everyone, with most of us contributing something to other groups, both adult and youth: Tea makers, cake bakers, shop runners, Bookwise helpers, blog writers, programme note writers, tour organisers, membership secretaries, accounts, NFC accompanist, Daytime Voices and Vocals! conductors, accompanists and helpers, recorder players, organist, violinist, harpsichordist, staging, lighting, sound, photography etc. You name it, we do it! Our next concert is very soon. Saturday 17 October, 7.30pm, St John’s Church, Mansfield Rd, Carrington, Nottingham. 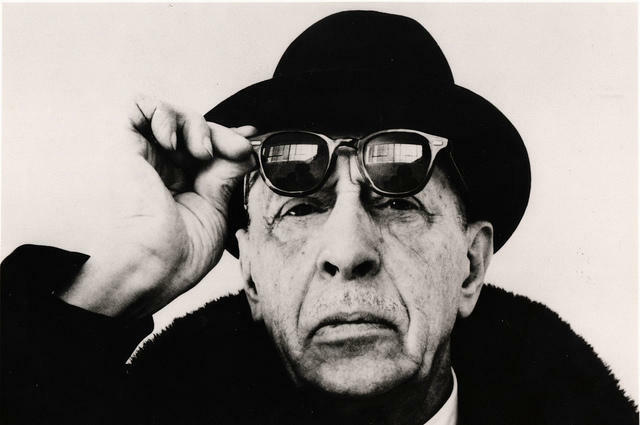 The programme, spanning almost three centuries, comprises sacred and secular works that vary in mood from sombre to joyful, and in sound from gentle and melodious to rhythmic and dramatic. There will be trumpets and drums, other brass and wind instruments and, of course, the choir. We would be delighted to see you there and for you to enjoy music by Purcell, Stravinsky, Mozart and Bruckner. Click here to see the programme and for tickets. More about EOES and joining the choir. The 2015 Lady Hilary Groves Prize for outstanding contribution to music in the community is awarded to Music for Everyone’s founder and artistic director, Angela Kay MBE. Many congratulations, Angela, we (singers and instrumentalist, staff and supporters) are delighted that your commitment to inclusive music making in Nottinghamshire since 1983 has been recognised once again. Thank you for enriching the lives of so many people with great music making and infectious enthusiasm. 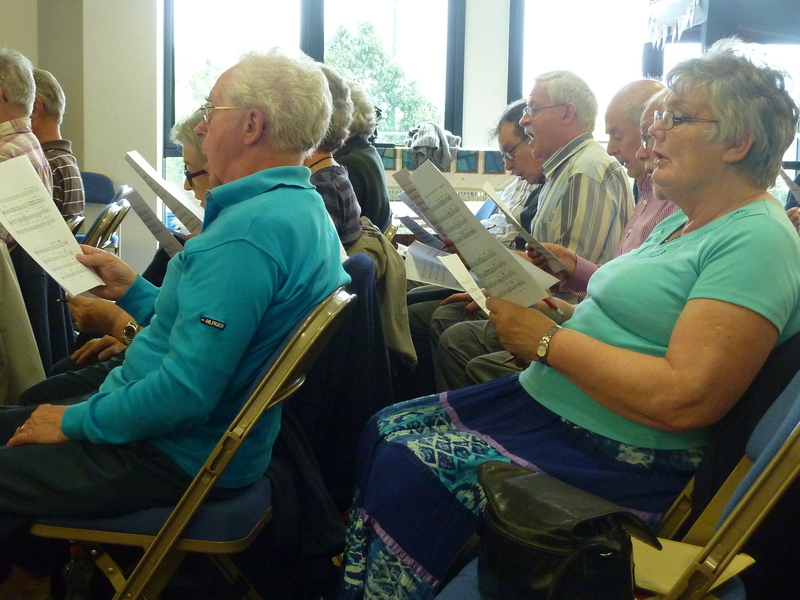 As the Indian Summer continued, over 100 singers enjoyed a day of Romantic choral music. There was a relaxed and cheerful mood to the day. For example, Angela said Mendelssohn’s Grant us thy Peace was so beautiful she would like it to be sung at her funeral! It was good to have time to look at the pieces in depth and learn some singing techniques. Angela and Alex talked about the importance of supporting the breath with those abdominal muscles. (Did anyone see Strictly? Weren’t there some abs on view!) We considered the importance of posture, and how to lift the sounds of our voices from strangled-cat in the throat to beautiful and resonating in the mouth. After the tea break we muddled up to sit next to someone singing any part but our own. This encouraged us to listen to the other parts and blend with them, while also concentrating on our performance – no hanging onto the sound-tails of our neighbours! Although a little daunting, it proved enjoyable. The tuning improved and there was more expression and musicality. Angela stopped conducting to encourage us to listen to each other even more. The front two rows then turned round and faced the back three and we sang the piece again, just as a small group would do. Fantastic. The next Nottingham Festival Chorus event will be the January course for the February concert of Beethoven’s Missa Solemnis. Angela enthused about what a great work it is but also mentioned that it is one of the harder pieces in the choral repertoire, and so singers will need to be well prepared before the course: no sight reading on the first day of the course! Singing done, we went home to the rugby. Nuff said.